Winter Solice Ink pads are here! We have had so much fun playing with our new ink pads this month....Katie stamped up a few samples to inspire you! Yes, the first five of the Winter Solice ink pads are here! We have our 1x1 ink pads that are sold as a set of 5 for $9.99! This will give you a little sampling of every color and perfect for coloring the edges of your cardstock! We have some reinkers on hand for you to reink your pads whenever needed! What is the biggest card giving season of the year? You guessed it, Christmas! We have put together some kits to help you do just this! I made all of these cards in less than 4 hours with these card kits! Wow! I haven't made that many cards in the last three months! I am so excited about these card kits....and I hope you are too! The white stampable area in the circle is 2 3/4 inches. Everything is cut and ready to assemble! We even tied the bows for you! This card measures 4 1/4 x 5 1/2. The stampable area on this card is 3 3/8 x 2. Stampable area on the while label is 2 5/8 x 2 3/4. You do the designing yourself with this kit! These papers are double sided....twice the value! 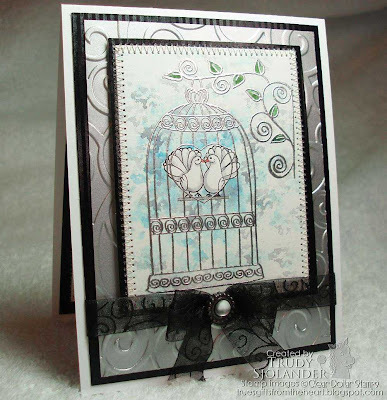 Take a look at the gorgeous samples Katie made with this kit! GO TO OUR KIT SECTION HERE! Tomorrow is the big day! Everything will be available for purchase! Welcome back....let's just jump in and get started, shall we? Owls are everywhere this year! Clothing, my daughter's backpack, notebooks....you name it and you can usually find it with an owl somewhere! We thought a cute little owl would be perfect for September! I am going to make up some little notes to put in my daughter's lunch pails with this set...the sayings are just perfect to let a friend or child know you love them and miss them! Go to Whooo Loves You - September 2010 SOM to purchase! You asked for man sets.....here is a set just for your man! This set will give him a chuckle! Don't forget about this little set! Everyone loves to know who made their little treasure! Here are a couple of little words to add to your collections! Thanks for coming back for day two of sneak peeks! We have some little Christmas and Winter critters that we are just sure you are going to love! This little Christmas mouse is just adorable....don't you think! Quick and easy to color and such an adorable card.....we also created a little verse just for him and our other Christmas critters! Pair this with any of our critters for an adorable card! Oh, I just love our little Winter Critters....this set makes up the cutest cards and scrapbook pages! Thanks for checking back with us today.....see you tomorrow for more great sneak peeks! It is time for September sneak peeks! We are sure we will inspire you to get out your cardmaking supplies and get started with your Christmas cards....at least that is our goal! Jesus is the reason for the season and we thought this little tree would be the perfect way to let everyone know this! Stamp it in one color, emboss it, layer it.....so many options you are sure to find one you love! This background matches the Jesus is the Reason Tree just perfectly! Make backgrounds, finish the edge of tissue paper for a gift bag, create a scrapbook background....you are going to love this stamp! This set will make up some quick and easy cards too! You can use our new ink pads which work beautifully with our clear stamps! Don't forget to check out our Christmas Card Insides we have created to work with these sets (see below)! Do you have trouble deciding what to put on the inside of your Christmas cards? Look no more, because we have answered that question! Use these stamps for the front of your cards or the insides....just perfect! What a beautiful set! Christmas is all about Jesus and we are going to show that with our cards! 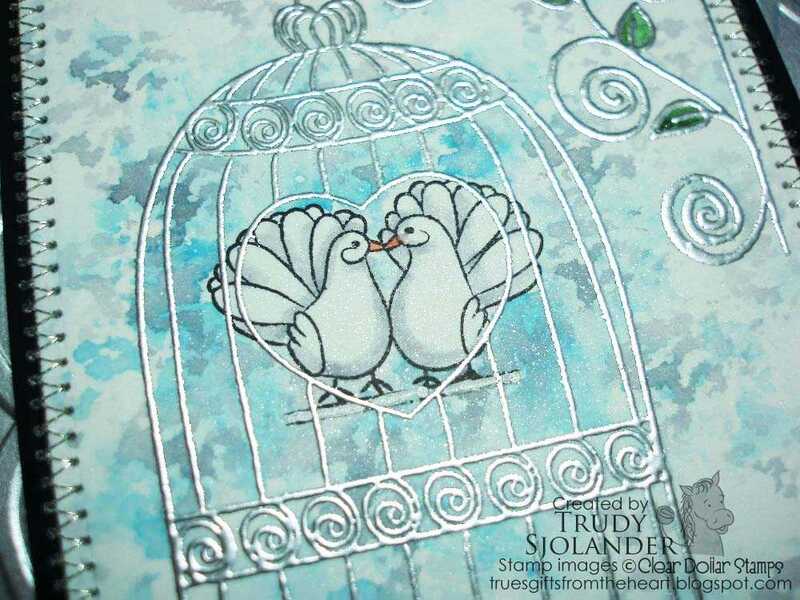 This stamp looks beautiful as a line embossing, colored in or paper pierced....take a look at the samples! Don't forget to finish up your cards with a saying for the inside and a little scripture verse! Another choice for the insides of your cards....or the front! We are so glad you spent a little time with us today! See you tomorrow! Welcome to our Wish List Friday! We have customers asking us all the time if we are an Angel Company - translated: do we allow our customers to create items with our stamps and sell them? YES WE DO! We would love for you to do this! We just need you to follow our guidelines in our Angel Policy found here on our website! (We've pasted a copy of it at the bottom of this post for your convenience). One of our first guidelines is that you must stamp somewhere on your project that the images are Copyright of Clear Dollar Stamps. This protects our images from being stolen by another person or campany....and we sure do appreciate you doing this! We have created a Handstamped Label that we believe will work for all of your projects and you can customize for each card too! Go to Handstamped Label now to purchase! The rectangular stamp area is for you to sign your name in....we believe this stamp is very generic and when paired with a matching stamp image for your card, a lovely addition! Of course, if you don't have a coordinating image, we provided three for you to use! You can also use these on card fronts! They make adorable mini cards! Here we have used images from our stamp sets that coordinate and notch nicely into the copyright tag! This is a little sneak peek to some sets introducing on the first! Here I have used Charliene April Showers Clear Acrylic Stamps to create a card and matching label. Here I have used Welcome Little One Clear Acrylic Stamps to create an adorable little label. Here I have taken a little dollar stamp Pretty Present Clear Inch Stamp to create a birthday label. Birthday Celebration Clear Acrylic Stamps had some little candle stamps in it that made an adorable birthday tag! Beautiful Butterflies Clear Acrylic Stamps had the perfect little butterfly to finish my label! Are you looking for a way to package some items to sell at craft shows? Here are some very nice clear boxes that save a lot of time! Take a look at our clear box section for some ideas! See how to make this cute little box here! This box holds 4 1/4 x 5 1/2 inch cards and envelopes. This box holds 3x3 cards. You can also make your own.....scroll through our blog to find lots of great packaging ideas by Katie! 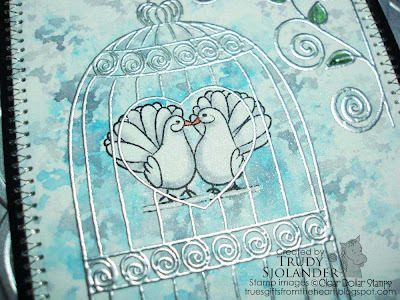 All of our designs are original works of art created by Clear Dollar Stamps, and as such, are copyrighted and trademarked by Clear Dollar Stamps. We are an angel company, so we encourage you to use our stamped images in your own hand-stamped craftwork and projects for personal enjoyment, giving or to sell. Each piece created for sale must be individually hand-stamped by the selling artist and may not be reproduced or copied in any form by any means, graphic, electronic, or mechanical, including photocopying. Wherever possible, Clear Dollar Stamp’s trademarks and copyrights should be displayed and/or credit given in print. There are no quantity limits for selling hand-stamped craftworks that abide by the restrictions as stated in this policy. Completed, hand-stamped projects may be sold at craft events, community fundraisers, and over the Internet. 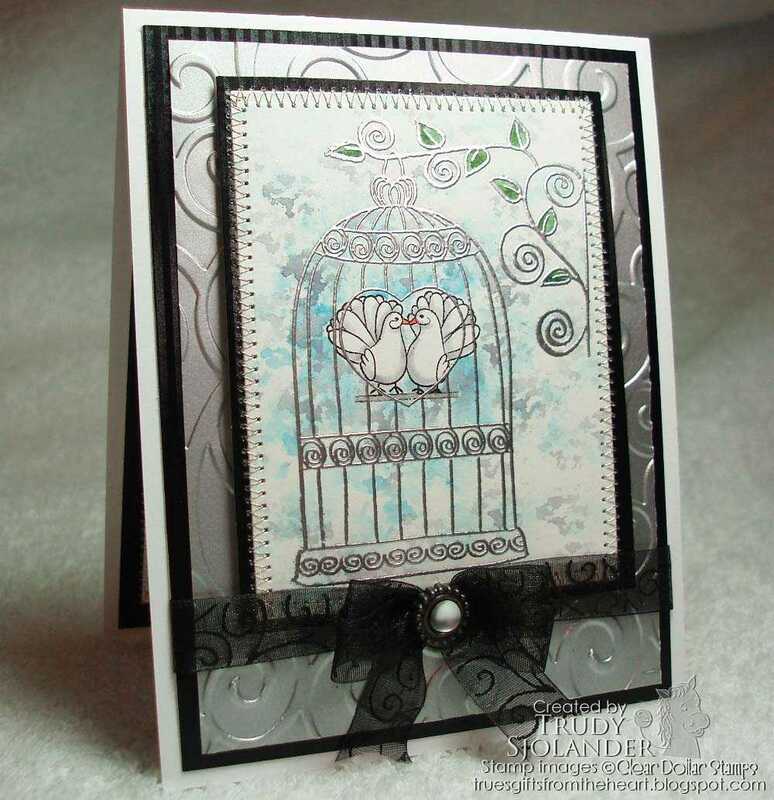 In selling hand-stamped projects, the seller must make it clear that the items are hand-made and that the images used are from Clear Dollar Stamps. We sell stamps that include this information in several different formats to fit the needs of your project. If you sell your hand-stamped products on Etsy or eBay or other auction sites, you MUST put in the description of the product that the stamped images are copyright of Clear Dollar Stamps. We encourage you to submit your craftwork using our stamps to magazines and other publications. They can print or display those projects without our written consent as long as proper credit is given to Clear Dollar Stamps in print or in text credits of the online gallery. 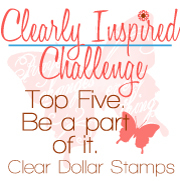 If you display your work on the Internet on your blog, web site or gallery, in addition to giving credit for the images in text, we would be appreciative if you could provide a link to the appropriate Clear Dollar web site, www.ClearDollarStamps.com. Hi friends, its Katie here to welcome you to another Tuesday Tutorial. Today, I've got a super quick, super easy, and super yummy "first day of school" gift for your child's teacher. Ok, so I grabbed some pre-packaged dried apple slices from the store. I was originally going to use an image from Teacher Treats, but thought I'd mix it up this time and use a cute little monster instead. Plus I love the sentiment "have a monster big day". I thought the images from Monster Mash would be just as appropriate for a school gift as any other! I think the key to this great little gift is the CLEAR BOX that Clear Dollar sells. It makes gift giving so easy! It comes to you flat and all you have to do is pop it into the box shape. This particular box measures 3 1/2 cubed. The I grabbed some Cosmo Cricket - Boyfriend... you might recognize this because I used it last week too.So perfect for the school themed items. Its still on sale and there's still lots of uses for it. I measured 4 pieces at 3 1/2" x 2 " (pencil paper) and the bases measured at 3 1/2" x 2 3/8"
I then opted for the cute fuzzy guy and stamped him with Memento's Tuxedo Black and the sentiment in Ripe Olive and colored the guy with my Ripe Olive (YG95) Copic marker. Just adhere your Cosmo Cricket to your box. Add your apple slices, tie with some mustard seed ribbon, add your tag and away you go! Ok, maybe not quite yet. I did use Labels One to cut my little monster out with and then attached him with some twine too. Now, away you go! Seriously, a super cute yummy treat! Thanks for stopping by and I hope you have a wonderful Tuesday! Thanks for meeting us here for digi day! You are going to love what we have for you this month! I just want to say a special thank you to our AWESOME digi design team! As always, their samples are gorgeous! This little frog colors up so cute for teacher gifts! You are TOAD-ALLY going to love this set when you see our design team samples! This set is perfect for church ministry cards of all kinds! Fall is my favorite time of year! I think these little images are perfect for fall cards, gifts, and scrap pages! Color them or just print them on a colored cardstock for a quick and easy card! This little digi set is so sweet and versatile! Use this set to express God's love, to wish someone a Merry Christmas, a thinking of you card, friendship cards, and so much more! Charlie thought he needed to get in to the digi side of Clear Dollar Stamps (per customer requests)! Just in time for fall and fall wishes, parties, and scrap pages! As always, we have come up with a cute little digi stamp for you to earn for free with any purchase! Thanks for joining us for our digi releases! Please watch the video below to see my "Sponging With Tombow Markers" tutorial. I am using the "Home Tweet Home" set available now @ Clear Dollar Stamps. I hope you will leave us a comment before you go. If you have a few minutes to spare, hop on over to my blog to see more pictures of this card and sign up for a chance to win some blog candy! CDS STAMPS USED: "Home Tweet Home"